It's Wednesday again and time for me to see if I can give you a bit of inspiration and get those creative juices flowing! The title of today's post is "Indecision" and it wasn't hard for me to settle on that as you will see. I imagine all of us die lovers are a lot alike, aren't we? The minute you get a new die you just HAVE to cut it out & see what gorgeous creation you can come up with! I can't wait for the mailman to bring them to me & run directly upstairs to my craft room to tear the package open & start running it through my die machine. Sound familiar? Well, one of the dies I got with my last order was Spellbinders Romantic Rectangles Two. 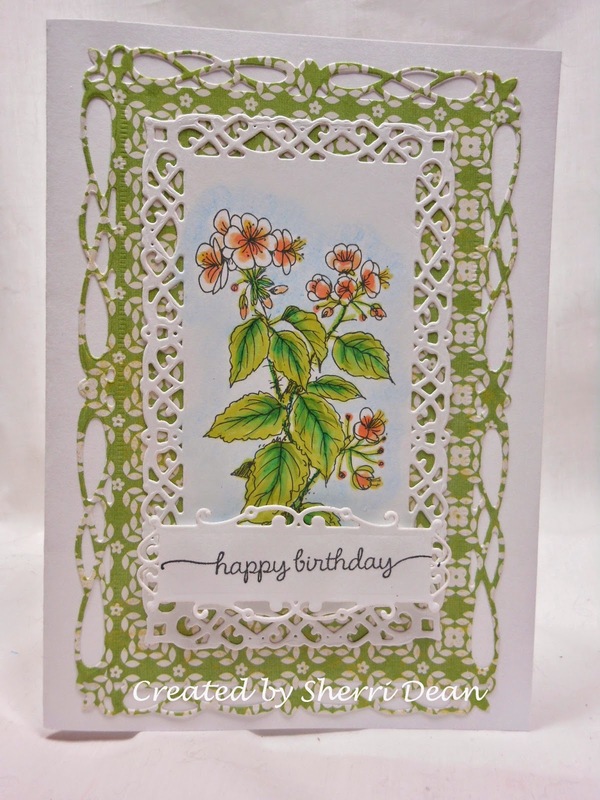 I have had Spellbinders Romantic Rectangles for ages & it is one of my favorites. I think I love this one even more! I had already colored two flower images so I grabbed them from my stack & cut both of them with this gorgeous die, thinking once the cards were completed, I would use one for my post. Oops! I hadn't counted on liking BOTH of them & not being able to decide which one to use, so I am posting both & letting YOU decide! These are just a small sample of all the unbelievable dies you can find at Dies R Us! They are adding new products on a daily basis so be sure you visit often! And remember, they not only carry dies, but also stamps and embossing folders so they are truly a one stop shopping experience! Besides the Inspiration Blog, we also have a Dies R Us Challenge Blog where new challenges are posted the first & fifteenth of each month. If you haven't entered, be sure to head that way or you will miss a lot of fun and some terrific prizes! See you again next week! Have a fantastic week & happy creating! Two beautiful uses of the new Romantic Rectangles 2! 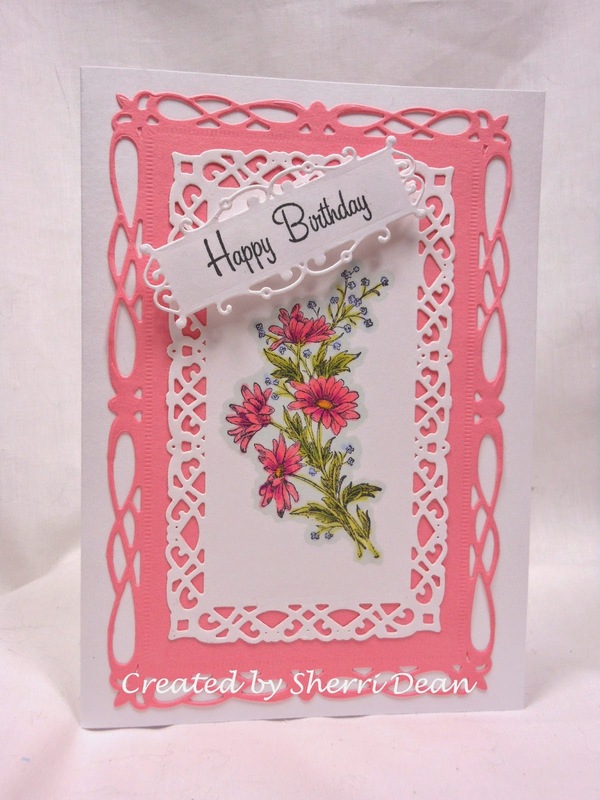 I really like the one in the patterned dp, I never think to use my dies with patterned paper and it sure does give them a completely different look! Thanks for the inspiration! ( I would you can use the two Romantic Rectangles styles together?) Great card Sherri!